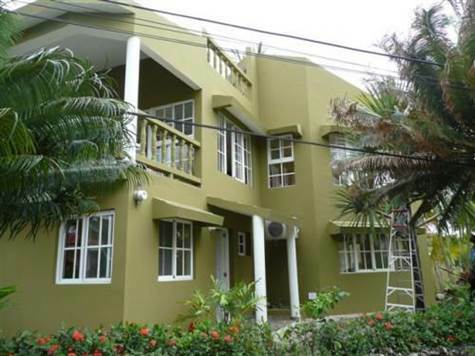 Located in one of the only beachfront communities of villas directly the main Cabarete Beach, this duplex is literally just steps from the beach. Each side of villa has 2 bedrooms, 3 baths, a large covered terrace with ocean views, and a huge rooftop terrace area. Totally renovated in 2008 (new pool, windows and doors, tile, kitchen, paint, etc) this villa is highly rentable as well. With one of the most well-known and respected onsite management companies provides totally turn-key operation. Great investment opportunity: live in one side and rent the other, or rent both for maximum return.